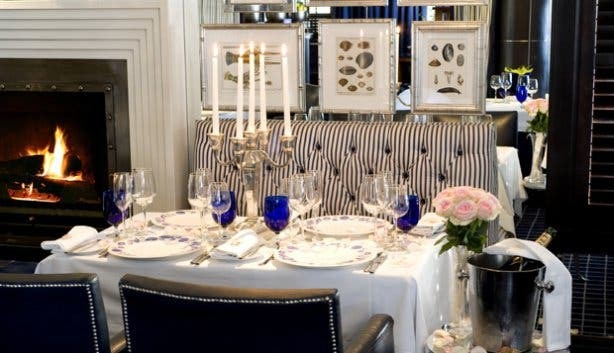 Dining at The Twelve Apostles Hotel and Spa’s Azure Restaurant in Cape Town is anything but just a meal. It’s an entire experience, and it starts the moment you belt up and push your ride into gear along Victoria Road. 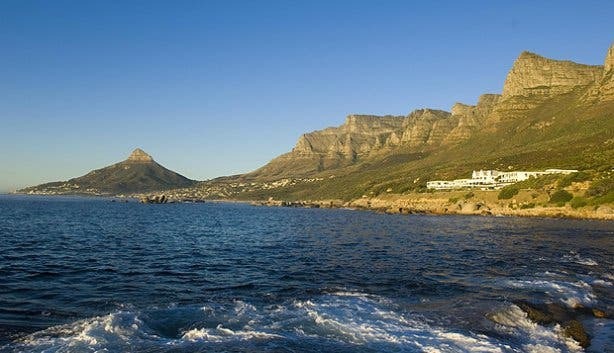 The serpentine strip of asphalt separates the sparkling Atlantic Ocean from Table Mountain National Park’s stoic peaks, and as you snake your way along the drive’s rocky cliffs, it’s easy to feel like you’ve set out to truly discover the world, not merely sup in it. On the evening I make the grand journey to dinner, the clouds are stampeding over the mountains and the wind is whipping the waves below into a churning frenzy, but the angry weather gods and their warring only adds to the drama of the setting. The property itself sits poised in white amidst complete wilderness on the road’s midpoint. At its foot, unadulterated sea views gallop toward the horizon, and at its rear, a riot of heathery fynbos crawls up hilly skirts. 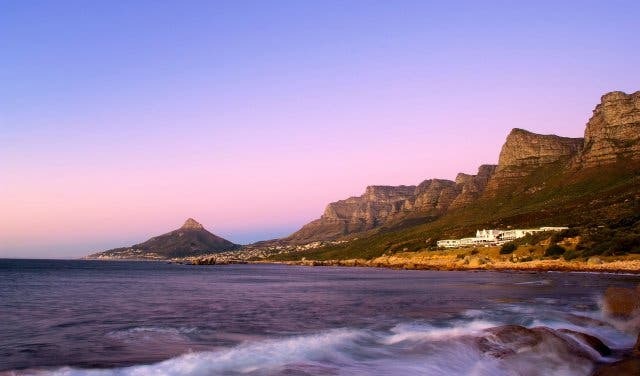 Just 10 minutes away, the Cape Town CBD pitches and heaves, but here at the edge of the protected marine reserve, urban hustle and bustle feels as foreign as a bad accent. I arrive in time to bid the sun farewell, cucumber martini in hand, from the comfort of Azure’s vast veranda. And as the sky explodes into a staccato of blood red and rusty orange, it becomes clear that the fine dining eatery has all the makings of destination special occasion – that perfect place for celebratory sundowners, birthday bashes, romantic anniversaries, ladies’ lunches, year-end functions, graduation meals and even marriage proposals. The big question remains though: does the food measure up? 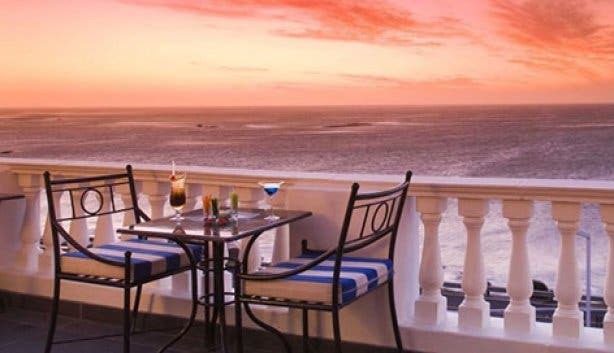 Like a classical Greek drama that inevitably ends in tragedy, many a Cape Town restaurant can be depended on to woo you with a beautiful vista, only to dash your expectations with terrible service and subpar cuisine. And dazzle he does. Young, ambitious and incredibly principled, Christo took up the reins in the latter half of 2013 and has since reinvigorated Azure’s menu with the kind of modern cuisine that dances on the palate and shakes up all the other senses along the way. “We put big emphasis on seasonality, and I truly believe that using the best produce and sourcing from the best producers should be a norm,” he explains. He’s learned his respect for ingredients from none other than famous Mother City kitchen wizard Rudi Liebenberg, and his reverence for healthy, fresh fare filters down to the littlest pea. Speaking of which, the dish that makes me a believer is quite appropriately a salmon trout served on a sea of pea and corn succotash with dollops of pea purée and citrus gel playfully dotted around the plate. 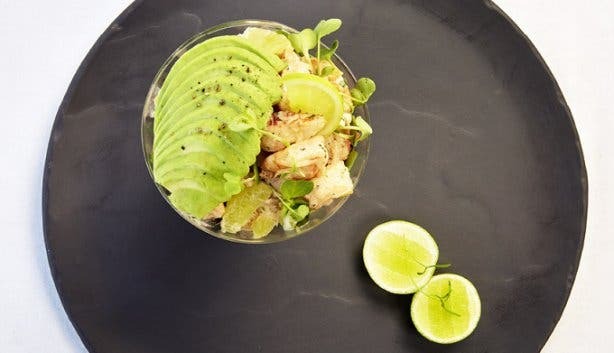 The fish melts in my mouth and the accompanying elements add a wonderful texture and a crispness that bounces around long after I’ve scooped up the last forkful. Seafood is one of the eatery’s specialities, and Christo masterfully adds a special spin to even the most familiar staples. 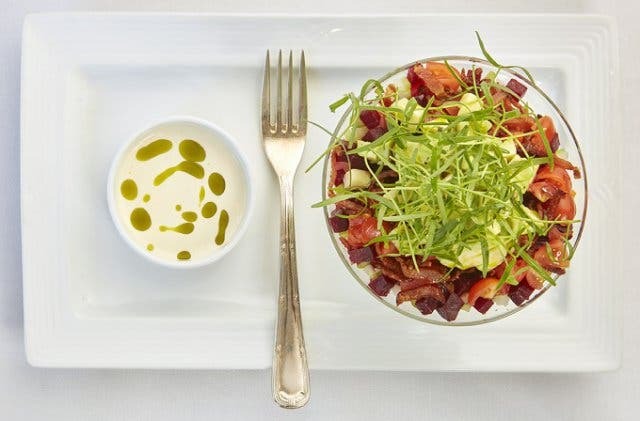 If you’re not up for something so contemporary though, you’ll be happy to hear that the Azure team conjures up plenty of traditional options too thanks to owner Bea Tollman’s culinary flair. 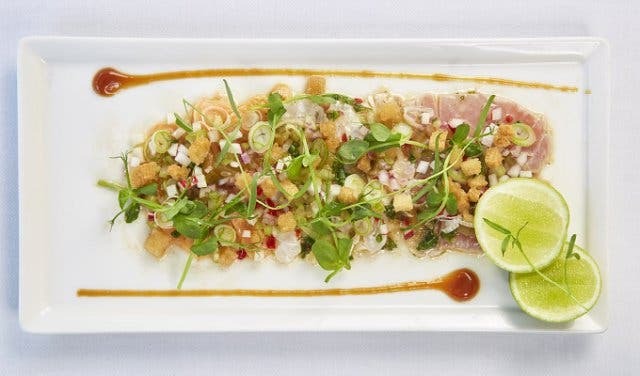 The energetic hotelier found a passion for the kitchen years ago at her first property, and to this day, she contributes feel-good eats, like Cape Malay curry, baked cheesecake and a crayfish and prawn cocktail. 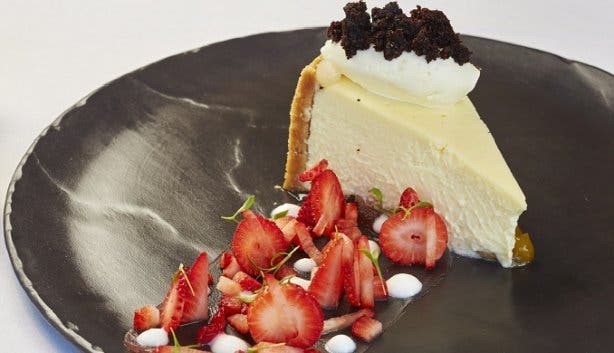 Her old favourites combine with Christo’s trendy creations to make for one of the most diverse menus in all of the Mother City. Though, no matter what you choose, you can look forward to flawless service and the attention of a sommelier who bends over backwards to make sure you’re drinking the right wine to complement your meal. If there’s one thing that the folks at Azure Restaurant excel at, it’s adding the kind of personal touch that makes you feel special. I’m even told that the concierge has developed somewhat of a reputation as an accomplice in marriage proposal schemes (he has a 100% success rate, apparently). 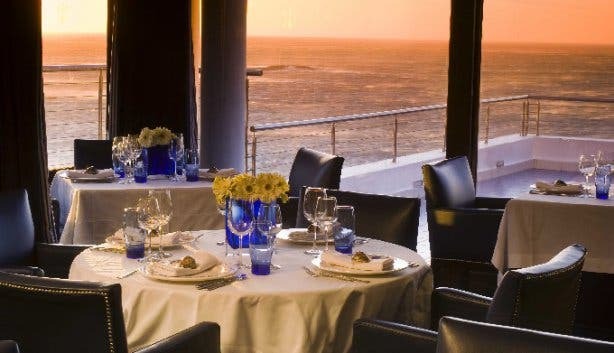 Needless to say, if you’re on the hunt for an unforgettable eating experience, buckle up and make your way to The Twelve Apostles. Tip: For a truly romantic experience, book Azure’s dinner and movie package. The food and film night includes a three-course set menu, complimentary popcorn and sweeties in the theatre and access to whatever film is showing in the hotel’s darling 16-seater cinema. 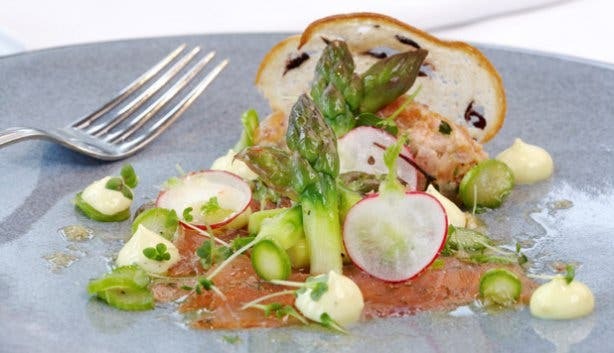 The Bill: Azure serves five-star food at five-star rates. Lunch and dinner starters cost between R95 and R175, while mains range from R145 to over R1615 (for an exquisite seafood platter for two). 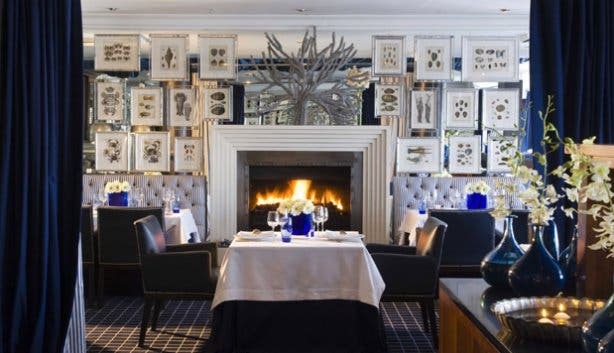 The tasting menus ring in at R460 for the four-course ‘Taste of the Earth’ vegetarian menu, R700 for the four-course ‘Taste of the Sea’ pescetarian menu and R675 for chef Christo’s five-course Tasting Menu. The breakfast buffet, however, is a reasonable R285. Note: all prices are valid until 31 August 2016. 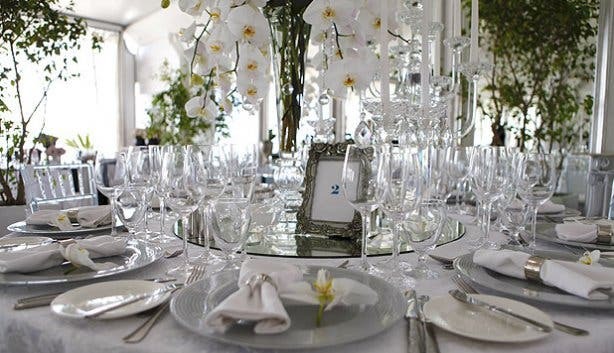 Looking for another great special occasion destination? 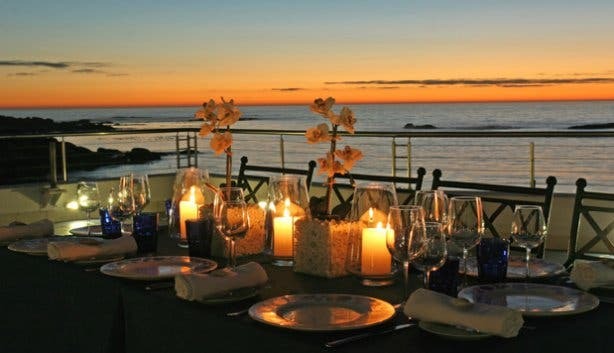 Check out our overview of dating ideas in Cape Town.